The Body Shop has a promotion going on now through May 13th. You can get $10 off your $20 online purchase when you enter the promo code BODYSHOP at checkout (or go here to print and use the coupon in-store). For example, here are a few Shower Scrub & Moisture Gift Sets on sale with 2 for $20, regularly they are $15 each. In addition, shipping is just $5.95 or FREE on $50 orders after all discounts are applied. Search The Body Shop Discount Code to find more coupons or promos. Founded in 1976, the Body Shop has about 2400 stores in about 60 countries. The company is headquartered in Littlehampton, West Sussex, England. The Body Shop is part of the L'Oreal corporate group. Now through 11/27, The Body Shop is offering up their best-selling beauty bag gift sets for only $10 each ($20 value) – regularly $15 each! Each set contains a travel sized shower gel, body butter and hand cream in a zipper pouch. Plus free shipping and a sample with any order! Also Classic Picks Gift Sets for only $15 shipped ($30 value) or Medium Gift Sets for just $30 shipped ($59 value)! PLUS, a Black Friday Tote Bag for $35 (a $145 value!) with any $33 purchase! The Tote Bag includes a Lip Butter Coconut .34oz, Shea Body Butter 6.76oz, Shea Shower Cream 8.4oz, Satsuma Body Polish 6.7oz, Satsuma Shower Gel 8.4oz, Hemp Hand Protector 3.4oz, Mini Olive Body Scrub, Gentle Camomile Eye Makeup Remover 8.45oz, Tea Tree Oil .34oz and Vitamin E Night Cream 1.7oz! 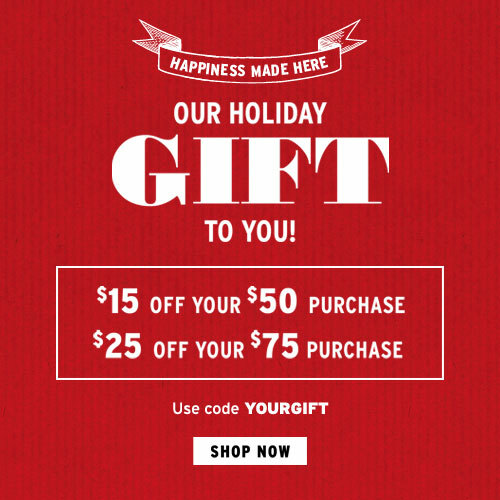 Through December 11th, The Body Shop is offering up an extra $15 off purchases of $50 and $25 off purchases of $75 or more with promo code YOURGIFT at checkout, AND shipping is free on any purchase! This Best of the Body Shop Tote is on sale for $75, so ONLY $50 shipped with code YOURGIFT at checkout (a $145 value!). The Tote Bag includes: Lip Butter Coconut 0.34oz, Shea Body Butter 6.76oz, Shea Shower Cream 8.4oz, Satsuma Body Polish 6.7oz, Satsuma Shower Gel 8.4oz, Hemp Hand Protector 3.4oz, Mini Olive Body Scrub, Gentle Camomile Eye Makeup Remover 8.45oz, Tea Tree Oil 0.34oz and a Vitamin E Night Cream 1.7oz! If you can shop at your local The Body Shop store, you can also get this Best of the Body Shop Tote for an even sweeter price of only $35 with any purchase (while supplies last). 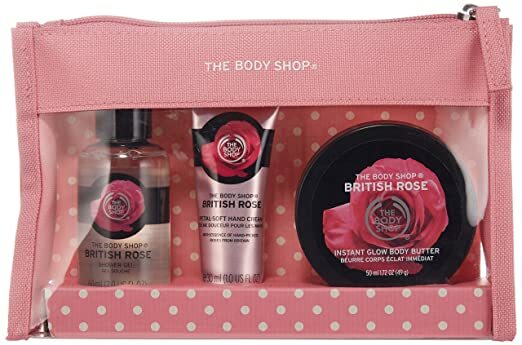 Amazon: The Body Shop Gifts Sets As Low As $11.20. 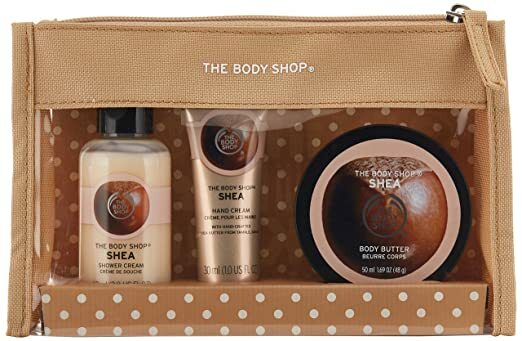 Amazon.com now they are offering a 30% off The Body Shop coupon, valid to use on participating items found here. 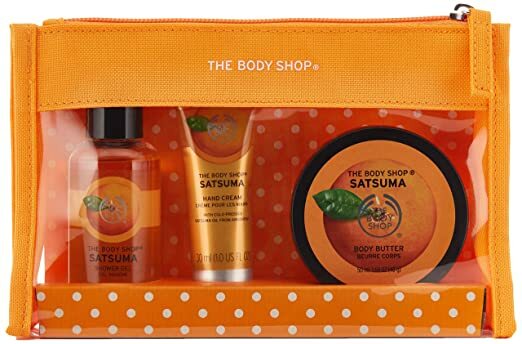 Now get this The Body Shop Satsuma Beauty Bag for just $7.75 (regularly $15) after you clip the 30% off digital coupon! This set includes travel size shower gel, body butter, and hand cream, plus a reusable travel pouch. 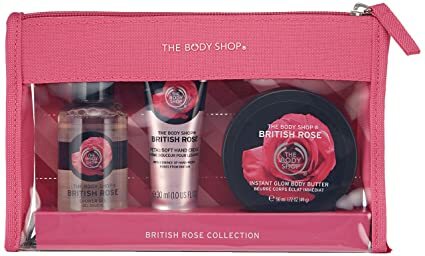 Amazon now this The Body Shop British Rose Beauty Ba for just $7.41 (regularly $15) after you clip the 30% off digital coupon! 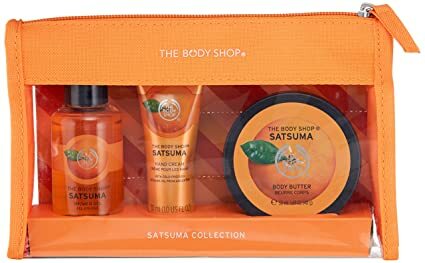 Amazon.com now you can buy this The Body Shop Treats Cube Gift Set in Mango or Almond Milk & Honey for just $4.20 (regularly $9) after you clip the 30% off digital coupon! These sets include a collection of travel-size treats and a bath lily. Today, January 15th only, TheBodyShop.com now they are offering 40% off select items plus FREE shipping on ANY order! No promo code is needed as the discount and free shipping will be applied at checkout. 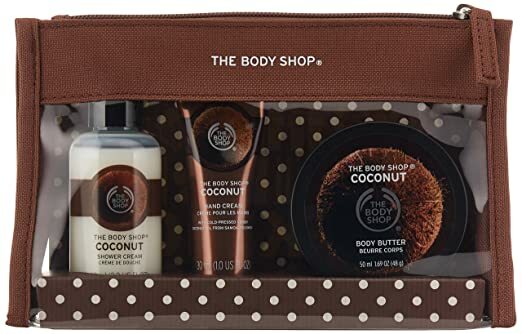 Amazon.com where you can buy this The Body Shop White Musk for Men Fragrance Gift Set for just $14! This gift set includes a Hair & Body Wash 200ml, Roll-On Deodorant 50ml, and Eau de Toilette 100ml.